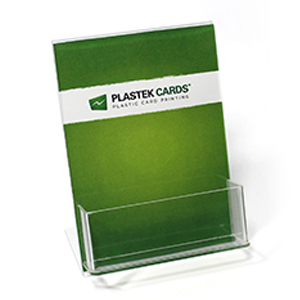 This 5″ x 7″ high clear acrylic display allows for easy change-out of graphics for promotions and holidays. The pocket is 4.5″ wide (inside dimensions) x 1.75″ high. Holds carrier and gift card, or can be used to hold menus. Clear acrylic.